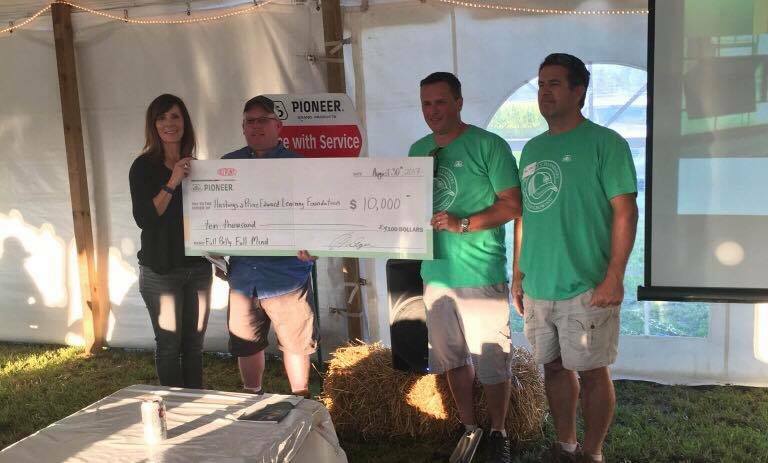 QUINTE WEST, Ontario – August 30, 2017 – DuPont Pioneer is pleased to announce that as part of its Full Belly! Full Mind! initiative that supports nutrition and breakfast programs across Canada, $10,000 has been donated to the Hastings and Prince Edward Learning Foundation. The grant will be used by the foundation to fund numerous local student nutrition programs in southeastern Ontario through three community partnerships; the Food for Thought program in Lanark County, the Food Sharing Project in Kingston, Frontenac, and Lennox & Addington counties, and the Food for Learning program in Hastings and Prince Edward counties. Jeff Harrison, Pioneer sales representative, endorsed the grant. ®, SM, TM Trademarks and service marks of DuPont, Pioneer or their respective owners.